Over the years we have witnessed innovation and change in India’s timeshare marketplace, including the serving up of new flavors, to widen the holiday experience. This ranges from new offerings that new age global travelers seek, to setting up of timeshare resorts in undiscovered locations in the country. I have also seen visible changes in the delivery models of timeshare experiences – to include golf, trekking, river rafting, jungle safaris and new-adventure sport. This Q&A session includes questions that I have asked myself over the last couple of years on the changing face of timeshare in India. Q: How has timeshare evolved over the years? In India, timeshare first made its presence in the mid-eighties. The early years saw many entrants who were more interested in leveraging the business opportunity behind it, than nurture an exciting new concept with the right commitment levels. Those early day detours are long behind us and timeshare is here to stay – with a resort base that has grown by appreciably over the last six years. We have 5,00,000 families subscribing to timeshare in India and this figure is likely to grow by a good measure in the immediate future. The entry of large, international exchange companies was another major step forward – giving timeshare owners in the country an opportunity to experience timeshare in other parts of the world, and give the international traveler a window to the myriad holiday experiences in India. Q: How did timeshare redefine the patterns of vacationing in India? Timeshare converted the reluctant Indian stereotype who would look at vacationing as an intrusion into workspace – someone who was cautious, circumspect and play-safe. Our timeshare option gave this prospect an interesting opportunity within the reliable and safe confines of AIRDA’s member group. And it worked, because AIRDA members represent the organized sector of timeshare in India – offering products that are backed by a well defined code of ethics and customer assurance. 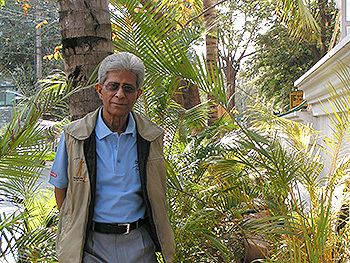 Timeshare has also blended into the Indian cultural landscape – embracing centres of pilgrimage, historic and heritage sites and other locations of unique tourist interest - such as backwater holidays, plantation visits, and traditional ayurvedic health farms – outdoor experiences that are unique to the geography and landscapes of the country. Q: Does timeshare in India use international models to make inroads into existing markets? Over the years, we have seen many international product concepts being adapted to Indian markets and customer preferences. Timeshare is another example of how a whole new vacation format successful in Europe and America, gave vacation seekers in India something exciting to look forward to. Another globally accepted practice we have successfully adopted is the concept of a self-regulated advisory body of resort owners and stakeholders in the industry. Like-minded people joining hands to standardize processes, procedures, and share a common concern for the betterment of the industry and customer offerings. Q: How does the mixed-use platform come into the picture? Mixed use is increasingly becoming a viable business model for the hotel and timeshare marketplace. Some examples of global players who have explored the model are Wyndham, Marriots, Sheraton, Hyatt, Lee Meridien and Holiday Inn. Mixed use models help in raising average annual occupancy rates of hotel units, thereby making the operations profitable. It is an accepted norm that hotels & timeshare are complementary to each other's operations and help drive both businesses. The hotel portion increases its revenues by making its facilities available to timeshare guests – there is a cross marketing of hotels and timeshare to increase tourism traffic. Mixed use brings in fresh capital to fund new project initiatives, and support the servicing of existing operations. Because the new capital does not come with “cost of financing” project operations become viable and profitable - thereby accelerating development of such projects. Another reassuring factor is the account head on expenditure at a mixed use project – because expenses in a mixed use project are amortized over both operations, to help reduce overheads. Importantly a mixed use model is less vulnerable to economic downtrends, international travel advisories and external disturbances. During such periods hotel occupancies come down, whereas timeshare is more resilient to withstand adverse local or regional conditions. Hotels and timeshare resorts are complementary to each other and can play a role in widening the timeshare user base in the country. I would describe it as a win-win proposition, with benefits for all.